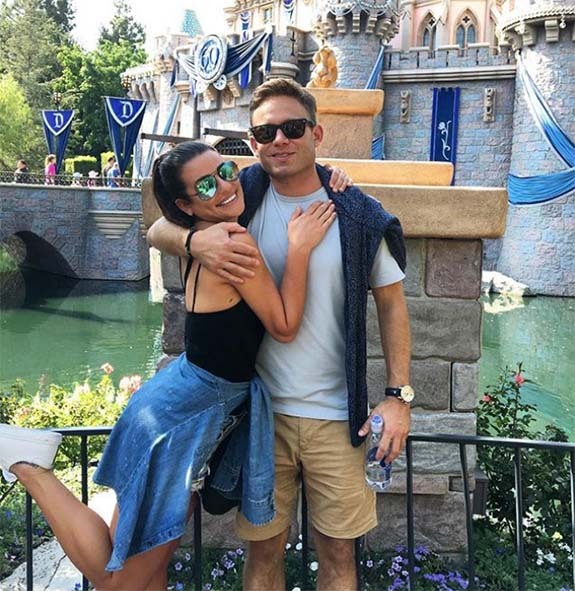 Glee alum Lea Michele tied the knot with boyfriend Zandy Reich earlier this month in an intimate ceremony in Napa, Calif. 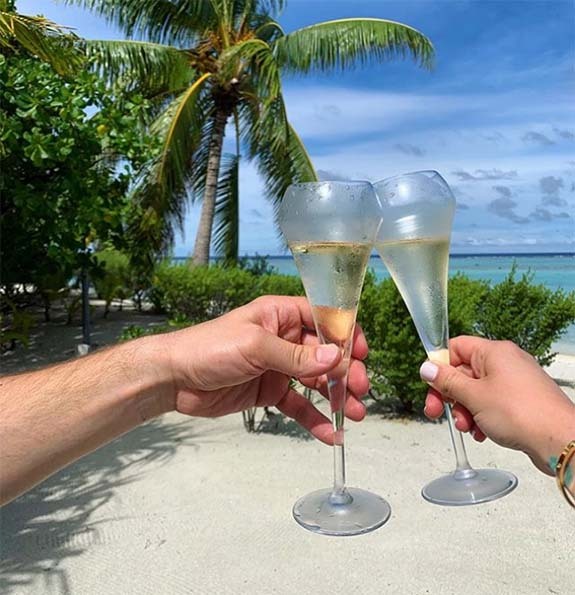 The couple zoomed off on a tropical honeymoon and promptly treated Michele's 5.4 million Instagram followers to a peek at her new wedding bands — one sparkly, one simple. The sparkly square-shaped diamonds in the white-metal eternity band mimic the design elements of the white-metal engagement ring, while the unadorned yellow band is a nod to Michele's Jewish heritage. On her Instagram Stories, Michele posted a photo of her rings in a tropical setting. Her caption simply stated, “That wife life."